We're still not at the All-Star break, but it's fair to be concerned about the Nats already. 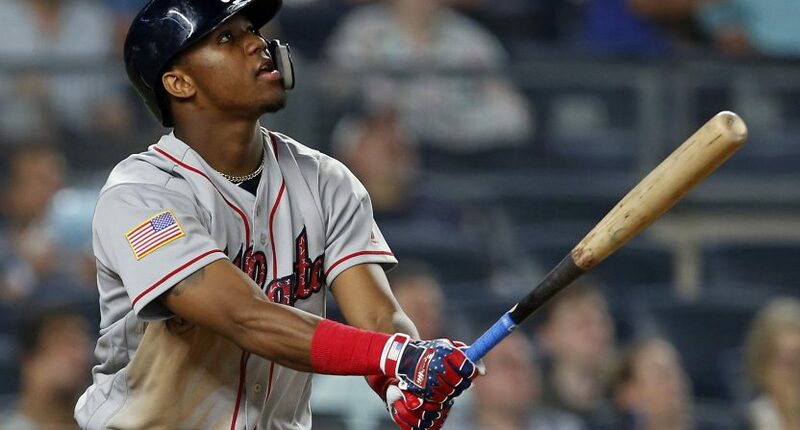 Ronald Acuña Jr. entered the 2018 MLB season as baseball’s consensus top prospect, and he gave us an idea why in the Atlanta Braves’ 5-3 11th-inning win over the New York Yankees on Monday night. “Every time we hit the field and we come out with this energy. I think that is fueling our drive right now." It’s the Braves’ fourth win in a row and puts them at 15 over .500 (49-34). They stunningly have a seven-game lead over the Washington Nationals (and 3.5-game lead on the Philadelphia Phillies), who entered the season as the heavy NL East favorites. With Freddie Freeman and some very talented young bats (Acuña, Ozzie Albies, etc), the Braves just may be here to stay. And the Nats should definitely be concerned. There’s still half a season to go and the Nats are too talented to play this poorly, but seven games is still a sizable gap, especially if the Braves are for real.